Around a dozen people turned out Saturday for another protest by Cable-TV-War, a group led by Ned Bushong who want to see cable TV rates lowered. LIMA — Ned Bushong is still “mad as hell” over cable TV prices. The organizer of the Cable-TV-War protest movement is so upset he’s calling for a recall of Lima Mayor David Berger and Allen County Commissioner Cory Noonan. At a protest Saturday afternoon at Faurot Park, Bushong and a dozen others commiserated over the lack of competition in cable TV, resulting in out of control costs. On March 3, the group held its first protest in Lima’s Town Square. “The purpose of that protest was to stand in the Town Square in front of a government building and ask the political class to please start doing their constitutional duty, to obey the will of the people. It was a plea for them to start honoring their oath of office. I have yet to hear a peep,” he said. At the crux of their argument is the payment of franchise fees to a municipality that allows the cable companies exclusive rights to whatever market they are in. “Our elected representatives have built a legal albatross that creates a monopoly for Spectrum Cable, and it’s the same story in every town across America. They have sold us out,” he said. “We have not heard from the mayor. We have not heard from the commissioners. We have not heard from the state reps,” he added. So Bushong is trying to get the attention of elected officials by threatening a recall. “We have to set an example. We have to remove a couple of them from office. In 2017, there were 344 recalls in America. Just in Ohio, there are six to eight every year,” he stated. Bushong asked for a show of hands on whether Mayor Berger and Commissioner Noonan should be their first targets. A majority approved the unofficial vote. “David Berger is an obvious choice. He has been in office for 28 years, and every year, the cost of cable TV has gone up. As for Cory Noonan, I had a run in with him several years ago. He proved to that he don’t give a d— about the people. Plus he’s part of the infamous ‘county gang’ that wants to raise your taxes,” Bushong said. Bushong said he would like to see a municipal cable company formed. 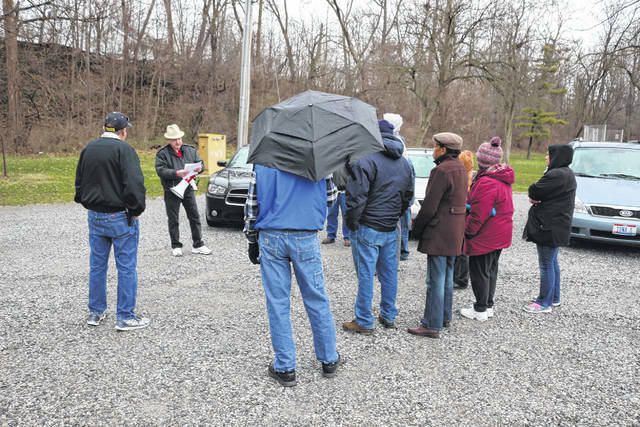 The group is planning another meeting for 2:30 p.m. April 14 in the basement of the Lima Public Library. https://www.limaohio.com/wp-content/uploads/sites/54/2018/04/web1_cable-tv-toned.jpgAround a dozen people turned out Saturday for another protest by Cable-TV-War, a group led by Ned Bushong who want to see cable TV rates lowered.